Judd Winick has returned to Gotham City with a vengeance. The award-winning cartoonist has successfully transitioned one of his benchmark storylines from comic book pages to animated film with the upcoming release of Batman: Under the Red Hood, the latest entry in the popular series of DC Universe Animated Original Movies. Winick next created his original comic book series, “Adventures of Barry Ween, Boy Genius,” and then began a long running stint as one of the top writers on mainstream super hero comics. Winick has scripted such titles as Batman, Superman, Green Lantern, Trials Shazam, Green Arrow and Outsiders (for DC Comics), Exiles (for Marvel) and Star Wars (for Dark Horse). He also was the creator and executive producer of Cartoon Network’s animated series, The Life and Times of Juniper Lee. 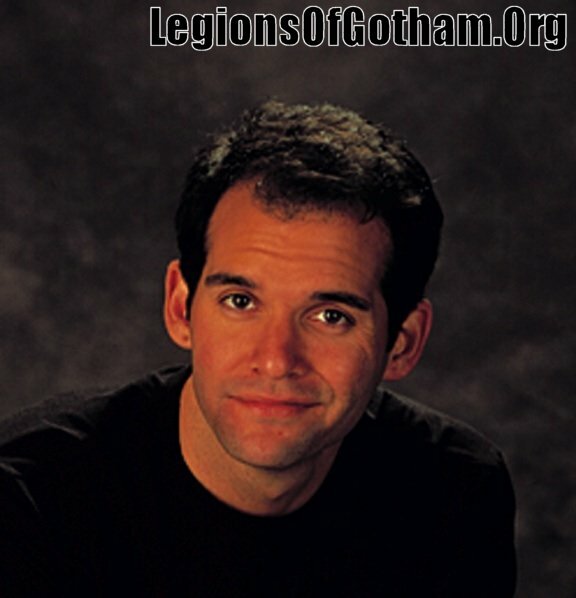 In 2005, Winick presented his Red Hood storyline in the Batman comics and it was met with tremendous sales alongside powerful waves of controversy. He has evolved that story into the script for the all-new DC Universe film, Batman: Under the Red Hood. In celebration of the film’s July 27 street date, DC Comics will distribute a six-issue mini-series, “Red Hood: The Lost Days.” Written by Winick and drawn by Pablo Raimondi, the mini-series offers greater insight into the back story of the title character. From the producing triumvirate of Warner Premiere, DC Entertainment and Warner Bros. Animation, Batman: Under the Red Hood will be distributed by Warner Home Video as a Special Edition version on Blu-Ray™ and 2-disc DVD, as well as being available on single disc DVD, On Demand and for Download. QUESTION: What was the greatest challenge in taking your graphic novel to script format? JUDD WINICK: I had to take two years of story and boil it down to 75 minutes of film, and that’s a challenge and liberating at the same time. It forces one to cut out all the fat and get to the heart of it. It’s about making a movie. And for those who know anything about movies, it’s about putting one foot in front of the other, building from one scene to the next to the next and so on. There are no cul-de-sacs or crossovers – it’s all about getting the story to its essence. QUESTION: Were you disappointed with what you needed to cut out? JUDD WINICK: Actually, I was thrilled about what went in. I’m really, really happy that the emotional core of the story is still there. We don’t really get to tell stories like this in animation. The opera of it all is usually reserved for live action. This story is about characters actually emoting and dealing with horrible situations. Animation usually gets just the action and the visualization, and not the characters actually feeling anything. So it was nice we got to do that. QUESTION: Can you describe the gratification of watching your words come to animated life? 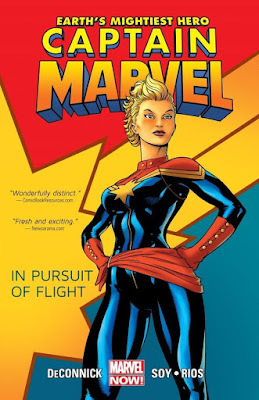 JUDD WINICK: It’s great. And I don’t mean to take anything away from writing for comics, as this is just a different form of story telling. One of the fun parts of writing for film is that it allows you the freedom for your characters to just shut up and fight. We can’t do that in comics – there always has to be some banter or internal monologue. More importantly, it’s gratifying to see the words and action come to life in all the ways film affords – through incredibly talented actors giving the words all that emotional impact; and to see the characters actually fight and run and yell and shout and cry. They become living, breathing beings. That’s a very exhilarating experience for a writer. QUESTION: Do the voices of Bruce Greenwood, Jensen Ackles, Neil Patrick Harris and John DiMaggio match what you had in your head while writing the dialogue? JUDD WINICK: I’ve been writing these characters for years, and it’s remarkable the job those actors did. Greenwood is about as Batman as you can get – which is exactly what you want. You don’t want to be surprised – as soon as he speaks, you want to say to yourself, “That’s Batman.” Nightwing is exactly as I’ve had him in my head – Neil Patrick Harris couldn’t possibly do it better. I’d like to do an entire feature with Bruce Greenwood as Batman and Neil Patrick Harris as Nightwing. Red Hood is funny for me because I thought I’d written this character in this incarnation more than anyone else, but I had no clue what he’d really sound like. And yet, when Jensen speaks, that’s the right tone and timbre. As far as Joker, that is one of the truly great characters that I think needs to be left up to interpretation. 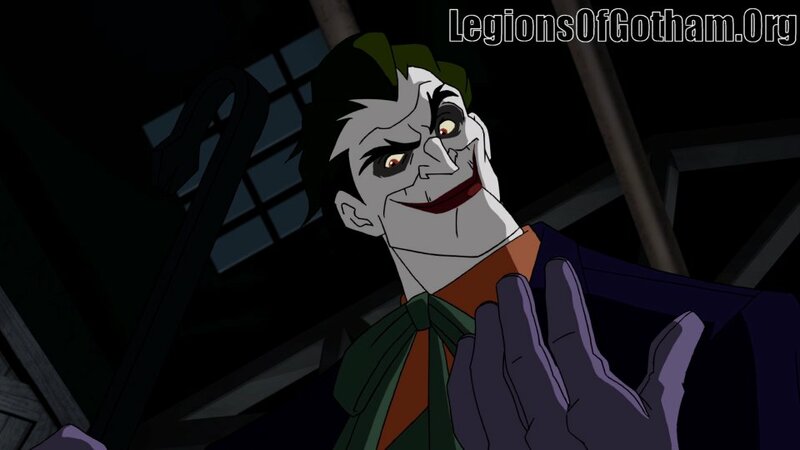 There’s only been a handful of people who have created Joker – Mark Hamill set the standard for animation, then you’ve got Jack (Nicholson) and Heath Ledger. But John (DiMaggio) has such versatility, he could go anywhere with it, and he made it totally his own. He really gives a very big and gruff and masculine performance, so deep and throaty and bass. He’s wonderfully scary and really gets the job done. Wade Williams as Black Mask absolutely cracks me up. He’s like a lion. Honestly, what came out in the animation came directly out of his performance. Wade made him into a caged animal who might go off at any second. He’s constantly roaring, which is an entirely different take than I anticipated and that’s awesome. That’s an actor making decisions and making it his own and really hitting the mark. QUESTION: Executive Producer Bruce Timm says your pitch was unorthodox in that it was over the phone and yet was absolutely perfect and completely sold him. How’d you pull that off? JUDD WINICK: I’d given a rougher pitch to Gregory Noveck (DC Comics’s Senior Vice President of Creative Affairs) and he loved it, but we had to pitch it to the gang. The schedule worked out that I had to be in San Francisco, and they had to be in Burbank. That’s not the ideal way to pitch, especially for me – I like to jump around a lot, shout a lot, wave my hands and be theatrical. That’s especially true for this pitch because it’s a very emotional script. I kind of sold the idea in the first five minutes of the pitch, which was essentially describing the first five minutes of the movie. 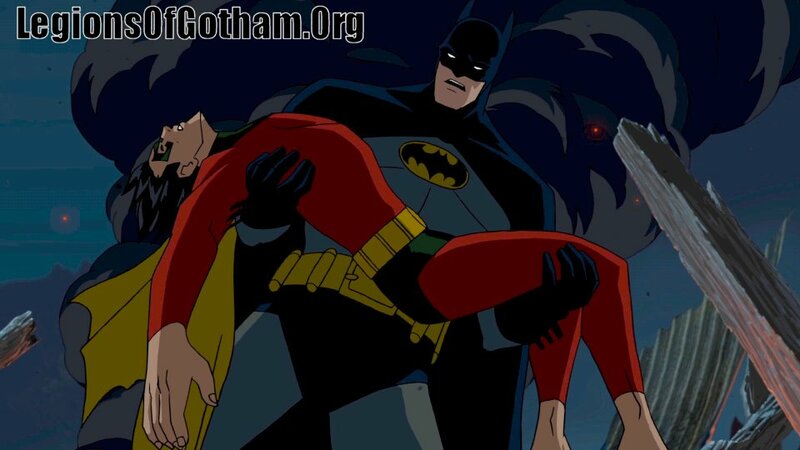 I thought this would be a cool animated feature, but to really tell this story, we had to find a way to show Robin dying. We had to get the history in quickly to start the movie with that emotional smack. So I’m on my head set, going through this scene, talking about Batman barreling down the street of Sarajevo, the Joker beating Robin to death,. I’m banging my hands on the desk, yelling as loud as I can, and by the time I said “Fade to black, cue to opening credits,” it was just dead quiet on the other end of the line. I said, “Is everybody still there?” And they said, “Yeah, that was awesome.” Done. Sold. QUESTION: How did you first enter the Batcave as a fan? JUDD WINICK: Like many people of my age, I’m sure I was reading the comics but I remember watching the TV series more – and not really liking it. It didn’t quite feel right. I know I enjoyed it more like watching Super Friends, but I really gravitated toward the comics more than anything. The series wasn’t dark enough. It didn’t have the edge I wanted in my Batman. Ultimately, the TV show gave me a sense of what I didn’t want Batman to be, even back then. QUESTION: For The Real World fans out there … do you have any inclination to do another reality show? JUDD WINICK: I would say NEVER. Laughs. Doing reality was like elective surgery. I got the nose job, it worked out just fine. I don’t need a touch up, and I don’t need another one. When they started to do the follow-ups, we just kept saying “No” until they stopped asking us. We have jobs and responsibilities and really don’t need the money or the humiliation. And most importantly, we had a fairly extraordinary and terrible experience during the show and still came out positively. We are very lucky in that way, and I would not assume to tempt fate and do anything like it again. 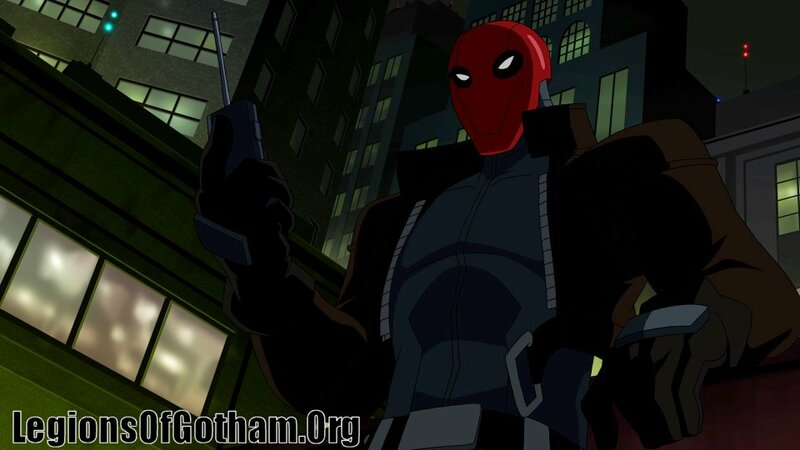 QUESTION: Do you feel Batman: Under the Red Hood fits into Batman’s current live-action film tone? JUDD WINICK: I’d say Christopher Nolan’s The Dark Knight was sort of the catalyst. After seeing that film, it got my juices going thinking that we could do something like that with a Red Hood arc. At the time, I didn’t even know what Warner Premiere was working on. It all started with a quick email to Gregory (Noveck) asking if they were looking for any more Batman features. Comics and film present very specific camps for the characters and the stories. Animation should be its own genre that straddles between the two that can give comic fans the product their hoping to see, and provide a new vision for the fans who only know these characters in the most mainstream way. QUESTION: Do you like presenting your stories in animated form? JUDD WINICK: I really do. I’m a cartoonist. I don’t draw for money, and mostly what I do is the writing. But that’s how I view myself more than anything else – as a cartoonist. I grew up on animation, and I always loved knowing that the cartoons on the page could actually come to life. I worshipped at the alter of Chuck Jones, and realized at a very young age that one guy did all the things I love best. I love it as a medium and I love how it’s evolved. Animation features have exploded – there is more high-end animation being produced now than ever before, and I think that’s great. For more information, images and updates, please visit the film’s official website at www.BatmanRedHood.com.